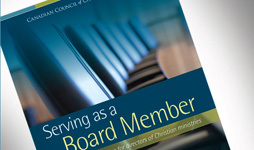 Featuring excerpts from the works of nine highly respected authors, Serving as a Board Member is a great orientation tool for new board members and an excellent refresher for directors with more experience. 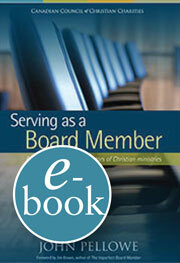 The book adds new topics and insights to the popular Serving as a Board Member DVD, released in 2011. "This book is a gift of gold for brand new board candidates. It’s a refining fire for those of us who are already committed." "One of the best Christ-centered governance books available"